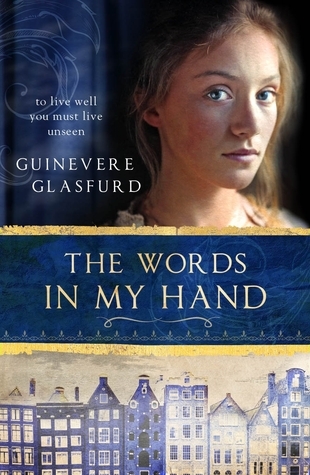 Synopsis- The Words in My Hand is the reimagined true story of Helena Jans, a Dutch maid in 17th-century Amsterdam, who works for Mr Sergeant the English bookseller. When a mysterious and reclusive lodger arrives – the Monsieur – Mr Sergeant insists everything must be just so. It transpires that the Monsieur is René Descartes. This is Helena’s story: the woman in front of Descartes, a young woman who yearns for knowledge, who wants to write so badly she makes ink from beetroot and writes in secret on her skin – only to be held back by her position in society. Review- I’ve always been fond of historical fiction, but I was drawn to this novel in particular due to it being set in 17th century Amsterdam. It also features the infamous philosopher Rene Descartes whom I recalled studying and debating about in Uni. The Words in my Hands is a story about a young Dutch maid named Helena who works in a lodging house of an English bookseller where Descartes boards for some time. Helena has always been drawn to writing in reading but it is denied due to her gender, which motivates her to continue her interests in private. Descartes fosters this passion and provides her with the writing resources to practice these skills. Helena falls in love with Descartes, a man who is largely emotionally unavailable as he delves into the world of science, reason and questioning everything that is known as fact in the 17th century. Helena is an interesting character who is strong and driven, but also naive and vulnerable. Her growth throughout the story is particularly appealing as she learns to use her ‘secret’ skills to change her life. The relationship between Descartes and Helena is up and down and quite unconventional for the era. It did take some time to really feel the pull to continue reading the story but I’m glad I read it as it was an interesting take on Descartes and women of the time.